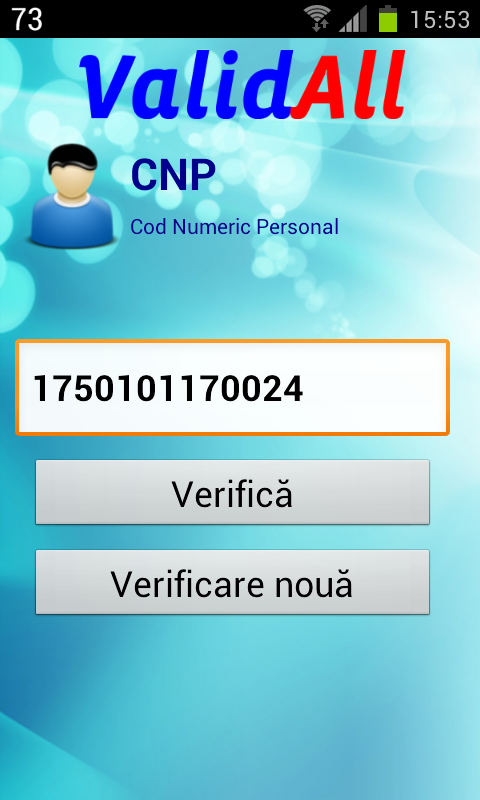 Using this app you can validate: • CNP - Personal identification code A unique code for each person born in Romania, consisting of exactly 13 digits. 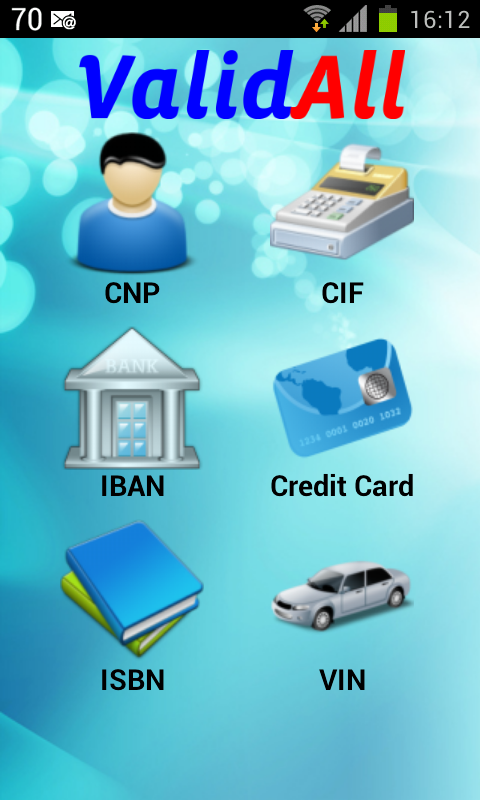 CNP appears on the birth certificate, identity card and driving license. 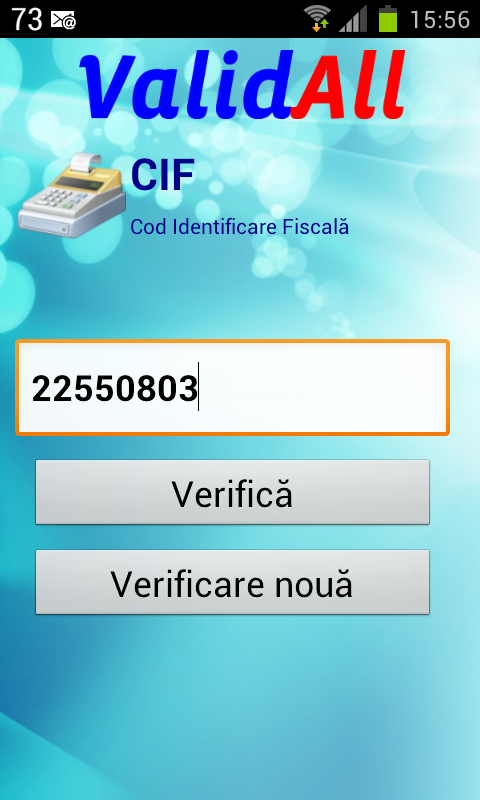 • CIF - Tax identification code An identifying number used for tax purposes in Romania. 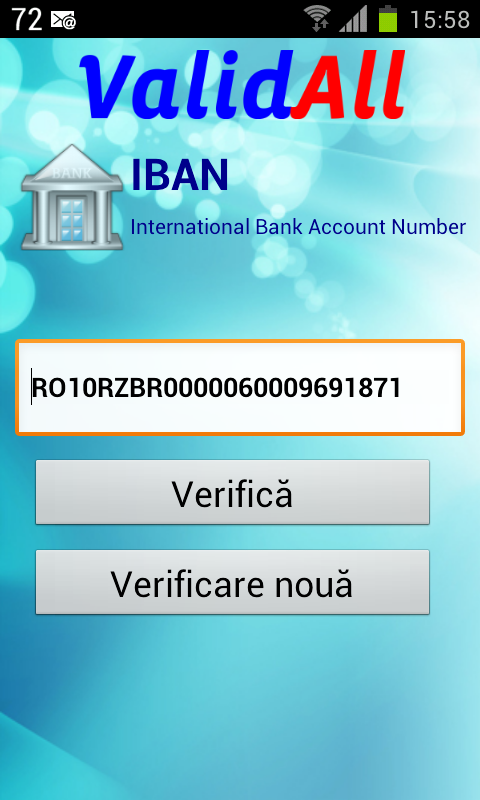 • IBAN - International Bank Account Number An international standard for identifying bank accounts across national borders with a minimal risk of propagating transcription errors. 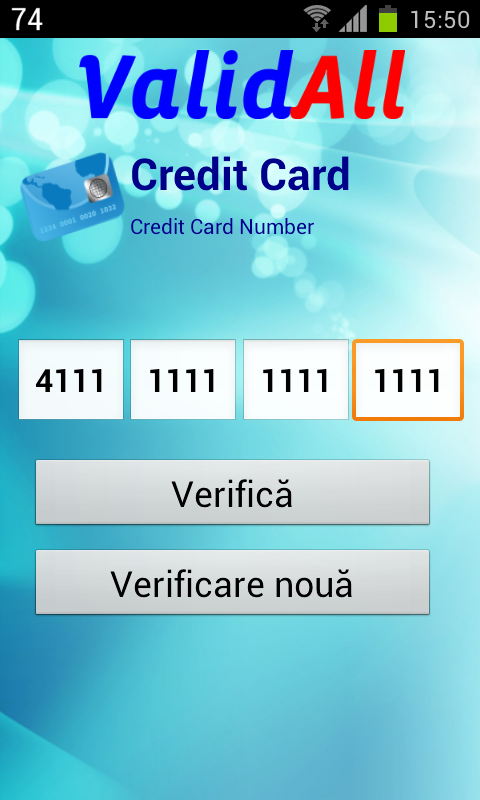 • Credit Card number A credit card number identifies the card, which is electronically associated with a particular cardholder and the cardholder's account. 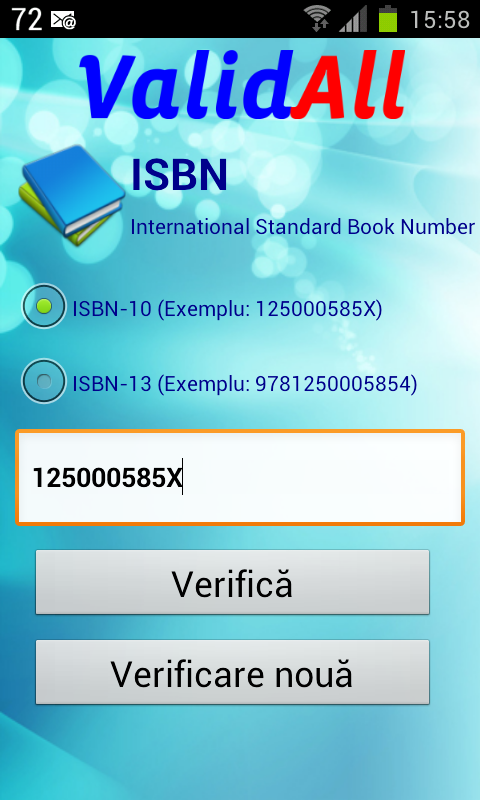 • ISBN-10 / ISBN-13 - International Standard Book Number A unique numeric code used to identify published books for easier indexing and commercial marketing. • VIN - Vehicle Identification Number A unique serial number used by the automotive industry to identify individual motor vehicles.